We are looking for people who are willing to help change the lives of small and big businesses. We have many clients that need website created right away. If you have a computer and an internet connection you can work with us. 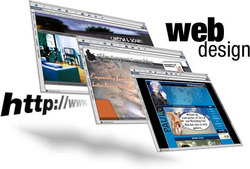 We will teach you all the skills necessary to become a Top Website Designer. No website design Experience is necessary. You will need good Customer Service skills, reading and writing skills are a must also. By creating a website, business owners can reach there existing customers, and gain new ones all over the world. When you join our team, you will be taking steps toward helping grow the future of the world. Interviews are held by phone, and in-person. Please call us at 443-839-0898 for more information. Please fill out form below and submit a resume if you have one.